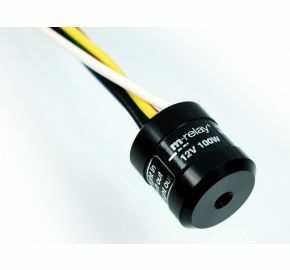 The m.Relay+ is load independent (1-100 W) and provides a constant flasher frequency to almost all models of LED, micro or halogen turn signal lights as well as 10 or 21 W light bulbs. The light and compact aluminum casing is anodized black and features a M3 mounting thread. The electronics are water-tight, vibration resistant and are equipped with an overload protection.